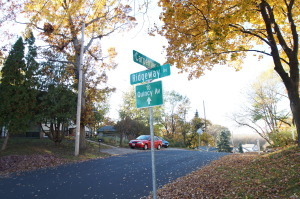 Listed below are homes for sale in Carpenter Ridgeway, a neighborhood located in Far East Madison, WI. Listings are updated multiple times a day from the SCWMLS. For more information about any of these Carpenter Ridgeway homes for sale, just click the "Request More Information" button when viewing the details of a property. We can provide you with disclosures, past sales history, dates and prices of homes recently sold nearby in Madison, and more. And, for your convenience, register for a free account to automatically receive email alerts whenever new Carpenter Ridgeway listings come on the market that match your search criteria. Boundaries: Anderson Street to the north; Wright Street and North Oaks Avenue on the east; Aberg Avenue on the south; Packers Avenue on the west. Carpenter-Ridgeway’s convenient location is among its greatest assets. East Washington Avenue, State Highway 30 and Stoughton Road bisect the neighborhood. Those thoroughfares provide easy access to downtown Madison and surrounding communities. But location isn’t Carpenter-Ridgeway’s only asset. Schools, commercial areas, parks and employers are all in close proximity to the neighborhood. And revitalization efforts in the neighborhood have improved infrastructure and pedestrian access to the neighborhood’s schools and parks by adding footpaths and bike lanes. Neighbors also took it upon themselves to develop a Labyrinth at Carpenter-Ridgeway Park, which lies at the heart of the community. Development began on Carpenter-Ridgeway in the 1930s. More construction came in the economic boom that followed World War II and continued into the 1970s. Carpenter-Ridgeway offers a variety of affordable homes that are often listed below the median price for the area. Substantial swaths of agricultural land can still be found in the southwest and northwest corridors of Carpenter-Ridgeway. That farmland gives way to Carpenter Ridgeway Park, which offers nearly four acres of green space and playground equipment, and the Bridges Golf Course. The Dane County Regional Airport and Madison College are adjacent to Carpenter-Ridgeway’s northern border. Hawthorne Middle School and Madison East High School are both located opposite Carpenter-Ridgeway’s western border. Carpenter-Ridgeway’s central location on Madison’s east side makes Downtown Madison and surrounding communities a short commute away. Downtown Madison is four miles south of the neighborhood, and Sun Prairie is about nine miles north. Carpenter-Ridgeway is located on East Washington Avenue, which is lined with retailers, restaurants and local mainstays. East Washington Avenue also provides fast access to the area’s major roadways, which simplifies commuting. East Town Mall is just four miles north of Carpenter-Ridgeway. For information about finding a home in the Carpenter Ridgeway neighborhood or to sell your Carpenter Ridgeway home, contact our team for a better real estate experience. 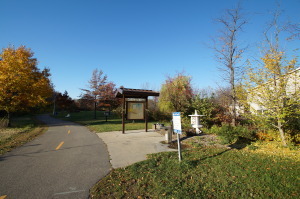 The Carpenter Ridgeway neighborhood is located on the Far East side of Madison in MLS area Madison - E06. Below are other homes available nearby.